Home Business Bill Gates Daughters, Son, (Children), Father, Height, Religion, Is He Dead? World class business leading light Bill Gates started out like every other normal business minded man would go about a business. For Gates, his billion dollar PC software company which he started in 1975, with friend Paul Allen, was more of passion than profit. For the those not in the know, Bill Gates is the co-founder of the world’s largest software company – Microsoft. Two friends; Bill Gates and Paul Allen remained faithful to their passion and formed a company that would place them in the category of the richest men in the world. Gates held the position of the chief executive officer until in 2000 when he handed over. He has remained the chief software architect since then. Bill Gates was born on October 28, 1955, in Seattle, Washington, to his parents; William H. Gates Sr. his father, and Mary Maxwell Gates his mother. Having a lawyer for a father and a successful businesswoman for a mother, Bill emulated the lives of his successful and upright parents who inculcated in him the act of dedication, survival, and excellence. These rare virtues are glaringly portrayed in the exemplary life of the business mogul. Bill’s flair for computers and everything related started to develop when he was very young. While he attended Lakeside School, he started building his programming skills thanks to his school’s special procurement of Teletype Model 33 ASR terminal and a GE computer. Gates wrote his first programme on the school’s computer at the time. Alongside Paul Allen who attended the same school, he computerized their school’s payroll system. Graduating from high school in 1975, Bill Gates proceeded to Harvard University where he continued to develop his skills. Bill who was less interested in academics focused more on computers to the extent that Allen his friend suggested he opted out of school to start his own business. It was still 1975 and the two friends founded the company which they named Micro-Soft at the time. After a partnership agreement with IBM in 1980, Microsoft created and delivered a PC DOS operating system for the company and soon grew to popularity. In 1989, Microsoft then came up with Microsoft Office which was a harmony of different packages like Microsoft Word and Microsoft Excel. Co-founder Gates remained the CEO of the company until 2000 when he stepped down. He then created the chief software architect position which he still holds. 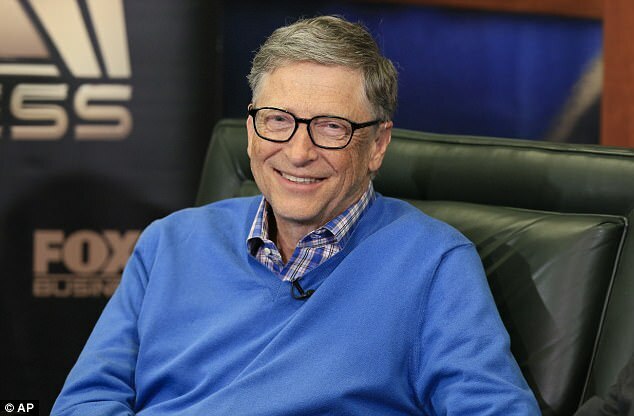 Gates became a millionaire at 31 after Microsoft went public with an IPO of $21 per share in 1986. Only a year later, he became a billionaire when Microsoft’s stock increased in value, reaching up to $90.75 per share. His net worth was recently estimated above $79 billion, still keeping him on top of the list of world’s richest men. The business mogul and philanthropist has remained on top and has continued to soar high. He now spends more time on philanthropy. Personal Life – Father, Religion, Is He Dead? To dwell more on the father of the billionaire; it would be right to say that Bill must have gotten his philanthropic instincts from his father William Henry Gates Sr. who was also a known Philanthropist and a lawyer. He is a well known American attorney who retired from the reputable Preston Gates & Elis law firm in 1998. His selfless wits drove him into joining the World Justice Project. He is an honorary Co-Chair in the movement which seeks to foster the prevalence of the rule of law globally. Bill Gates’ religion started making headlines in the media in 2017 when it was rumored that his daughter was to marry a Muslim. 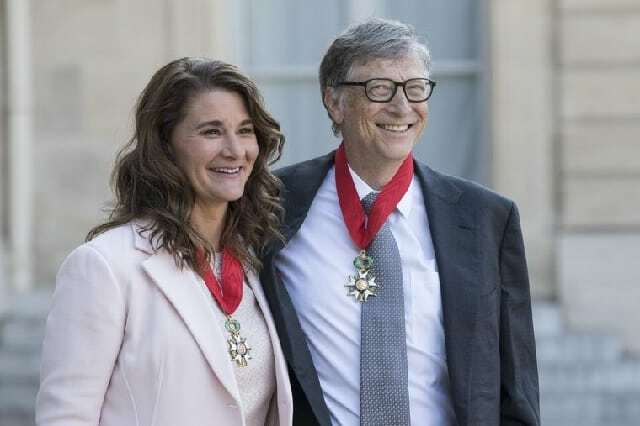 Bill Gates family are practicing Catholics and uphold the doctrines of the Catholic church. The Principal founder of Microsoft maintains that there is no scientific explanation for the creation of mankind as upheld by atheist or unbelievers. This goes to say that he believes in God and is not a Muslim. Not only does he have a leading business that has become an inspiration to others, he also lives a life worthy of emulation. Bill Gates made headlines on social media in the early part of 2018 when he was rumored again to be a Muslim. This was following a viral video of his look-alike embracing the Islamic faith. But these speculations were trashed following confirmations that the man in the video was not him. As of 2018, the businessman is alive and well as opposed to some death reports. For a very influential celebrity, death hoaxes are quite expected. Bill Gates’ humble and decent family life has become a model for many celebrities and fans alike. He married his wife Melinda French in 1999. Melinda was an employee at Microsoft when Gates met her in 1989. The two began a relationship that soon led to marriage. The couple have three children together. Their first child and daughter, Jennifer Katharine was born in 1996. She is an equestrian rider who is a strong competitor in horseback riding. She was part of the 2018 Longines Global Champions Tour. News had in 2017 that Katherine was dating a Muslim, Nayel Nassar whom she intends to marry, drawing attention to her father’s religion as well as his stands on interfaith marriage. But the distraction has in no way affected the relationship between the two. Gates second child and only son, Rory John was born in 1999. Despite his wealthy background, Rory was not allowed to use a mobile phone until he was 13. Bill and Melinda’s third child and second daughter Phoebe Adele was born in 2002. The billionaire businessman maintains a good body shape, thanks to his self-control and self-discipline. Gates and his average body build stand at a height of 1.75 m (5ft 9in) which is very proportional to his body weight of 70 kg (154 Ibs).